HUNTINGDON, Tenn. — KR Trucking’s Mack fleet is the talk of Tennessee, and it’s easy to see why. 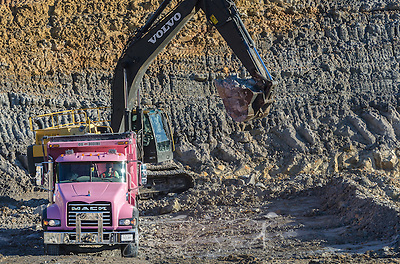 Owners, Kenneth and Keith Radford’s 16 Mack® Granite® dump trucks are some of the cleanest — and most colorful — trucks on the road. Every truck is a different color, prompting frequent comparisons to Skittles candy. But beneath the sweet exteriors, it’s all business, providing the strength Radford needs for clay mining and the durability he has come to expect from the Mack brand. He shakes his head in amazement when he thinks of how his company has grown. He started out in 1988 with a $600 single axle dump truck, later adding a $1,000 loader and a $300 trailer. He initially planned to sell dirt and gravel to homeowners in Gleason, Tennessee, and then expanded into working with his father in the ready-mix concrete business. But God had bigger plans, Radford says. In 2002, they left the concrete business and started KR trucking. Today, KR Trucking has 29 trucks and 38 employees, and though Radford attributes his success to God, he considers Mack to be a crucial partner in the success equation. It took him a while to make the switch. He visited the sales department at his local Mack dealership, Tri-State Truck Center in Jackson, but was undecided. 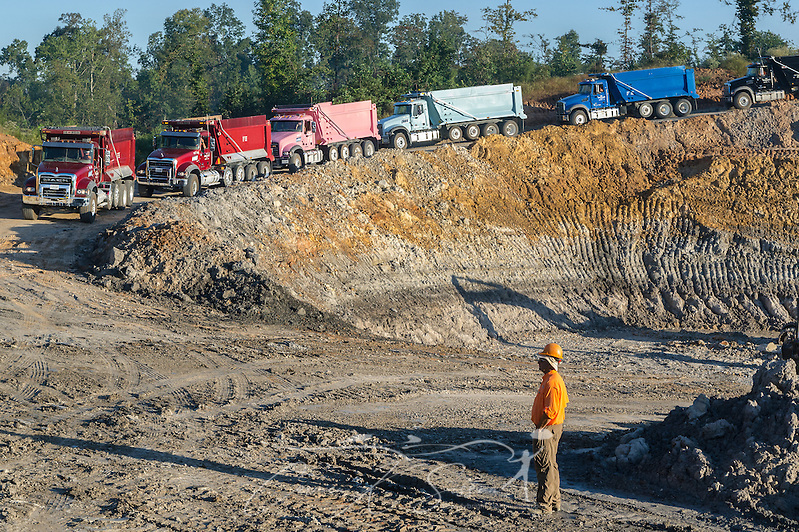 The decision was made when a brand new truck, from another manufacturer, was unable to handle the rigors of daily operations in the clay mines. He called Tri-State and, with the help of Mack Financial Services, he began building and new, more reliable fleet. 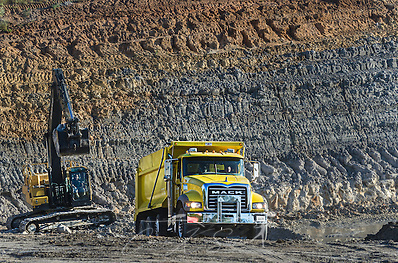 KR Trucking uses a mixture of axle forward Granites with the 11-liter MP®7 405 hp engine and 13-liter MP8 445 hp engine, mDRIVETM transmissions and mRIDE suspensions. Radford favors a 20-foot dump body over the standard 16-foot. His favorite — and most recent Granite — acquisitions are a pair of quad axles, one in pink and one in baby blue. The Granites are perfect for the harsh environments in the clay and gravel pits. Truck Center, he has enjoyed a significant increase in uptime. That’s a trait appreciated by Radford, who treats his customers with the same care and respect, whether they are large corporations or small local businesses. He wakes at 4:30 a.m. and returns home between 6-7 p.m. The days are long, but Radford is committed to seeing his company grow and leaving a legacy for his children. The average day finds him in the field working alongside his crew. He is quick to praise his employees and offer thanks for all he has been given. Huntingdon, KR Trucking, Mack Trucks, Tennessee, trucking industry. Bookmark.